The best businesses in Birmingham – large and small – are invited to showcase their achievements and enter this year’s Birmingham Post Business Awards. The annual awards are one of the most important dates on the city’s business calendar and BPBA 2017 is set to be bigger and better than ever before. The continued regeneration of Birmingham, the election of a new West Midland Mayor and the ongoing success of the city’s excellent universities is presenting more and more opportunities for investment and commercial development in Birmingham. The Birmingham Post wants to celebrate this success and highlight best Businesses the city has to offer. Last year saw The Belfry Hotel & Resort scoop top honour, winning the headline Company of the Year Award – sponsored by Jaguar Land Rover – highly regarded as the blue-ribbon accolade of the evening which recognises a business that can be universally admired for their commercial practice. It beat off stiff competition from Inspired Thinking Group, Access Bookings and HydraForce and had exciting plans to rejuvenate its children’s play area, introduce a woodlands walk with a mini golf experience and bring in a new selection of fitness classes and gym equipment. Also enjoying a successful night was Kingswinford-based manufacturer RP Technologies which won both the Small Business and Excellence in Manufacturing awards. 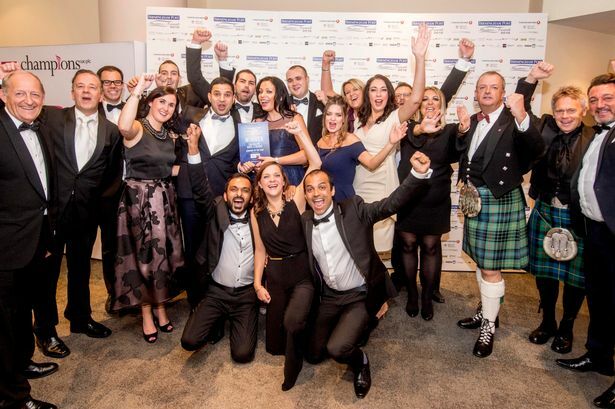 Other firms to take home the spoils were New Business of the Year Colmore Tang Construction, Retailer of Year Harvey Nichols and Not-for-Profit organisation Birmingham Children’s Hospital Charity. Editor in chief, Marc Reeves. Birmingham Post Editor-in-Chief Marc Reeves said: “We look forward to welcoming another raft of superb entries from some of the best companies across Birmingham – big and small – to this year’s business awards. “The business scene in the city is thriving and with the arrival of a new West Midland mayor there could be even more opportunities open for entrepreneurs in Birmingham. Like last year the awards ceremony will be held at The ICC – one of Europe&apos;s most celebrated conference centres, providing a world-class service to match. They will be held on Wednesday October 18. More than 800 guests are expected to attend. In addition to the awards they will enjoy a Champagne reception, three course meal from award-winning ICC chefs and entertainment from Faith Tucker. Solo artist Faith, a junior student at Birmingham Conservatoire, is tipped to become one of the major names in Classical Crossover. Headline sponsor for this year’s BPBA is HSBC, which is currently relocating 1,000 retail banking roles from London to Birmingham and is opening a head office – HSBC UK – in the city’s Arena Central development in Broad Street. HSBC employs 45,000 people across the UK. It has ring-fenced its retail banking operation from its investment banking arm, like other banks, in response to new rules outlined by the Sir John Vickers report. A number of companies are returning as category sponsors including Jaguar Land Rover, Jerroms, Janine Edwards Principle Partner of St James’s Place Wealth Management, Browne Jacobson, Birmingham Airport, Ricoh Arena, the ICC and JLT. The Birmingham Post is working in Partnership with Midlands Branding and Events Agency, Champions (UK) plc to deliver BPBA. The standout award of the night, to honour an exceptional standard of excellence – including strong business presence, market share, economic success, innovation, employee and customer satisfaction. Celebrating firms employing no more than 75 people and have a proven track record of success. Judges will consider prospective grown and development opportunities. This award is open to companies in the region that have been in operation for a maximum of three years of January 1 2017. This award celebrates the entrepreneurs behind some of the most innovative and successful businesses in Birmingham. Covering a wide range of professional services including legal and financial services. For companies which have strengths in service excellence, business growth, innovation, technology, training and personal development. For sales and marketing excellence. Judges will examine the innovation and creativity of the business, as well as its ability to find solutions for sales and marketing challenges. To celebrate the company that has upheld the manufacturing traditions of the local area, while continuing to strengthen the regional economy. This award recognises advancement and innovation. Finalists will be judged on the quality of their products and services, their dedication to sales performance, commitment to innovation and the sustainability of their business. The winner will show they are continuing to build upon their reputation for retail excellence – whether they are trading on the high street or solely online. Judges will look at the finalists’ dedication to developing something truly creative across a variety of industries. This award will reward an organisation that has generated substantial and sustained increases in export activity. The finalists for this award will have demonstrated considerable dedication to corporate, social and ethical responsibility. Nominees will be judged on their ability to maintain financial performance, as well as looking at the cultural influence of the organisation and the potential benefits it brings to the community. The closing date for entries is Friday July 21.